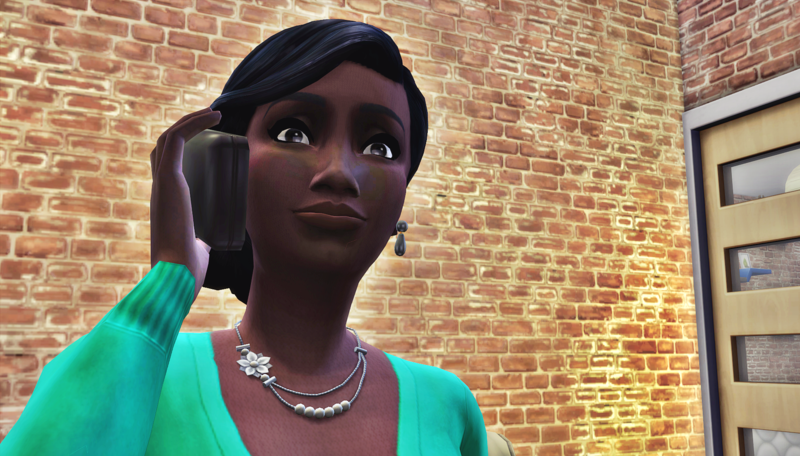 Author’s Note: If you’ve been following along with all my posts, you know that Heaven won my poll to be the next Sim to get a pen pal! Please check out the Pen Pal Profile of her new friend Hunter here. You can read Hunter’s first letter to Heaven here. I was pleased to receive your letter. I was not sure what to expect, but I am happy I caught your attention. We are both Bros, that is true. I am looking forward to discovering what else we have in common. I also live with roommates. Mine are named Kian Song and Baylee Keys. They are both Bros as well. That shared trait is the reason we moved in together. We do not have any stuffed animals on the premises, so no one has abused them. I did not know beating up stuffed animals is a crime, so I will be on the lookout from now on. Being part of a protected group myself, I am always vigilant for the rights of those who cannot always protect themselves. I do not want to go into the whole story just yet, but I will tell you this. My nuclear family lives nearby, so near that I can visit them often. I usually do not visit because it is too hard. But I did try to visit recently just to check on them. I took a vacation day from work and called my husband Bo to ask if I could visit to spend time with our offspring. He told me he did not think it was a good idea, so I stayed home and talked to my roommates instead. They encouraged me to go over to the house anyway. Kian suggested I could pretend I was hanging out nearby practicing or playing for tips. Baylee thought it was a thin excuse, but figured it was worth it if I got to see at least one of them. 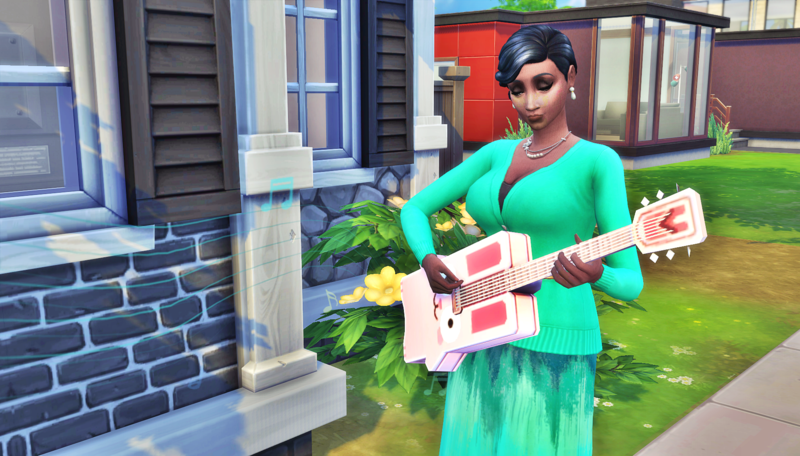 I showed up outside my former home with my new guitar in hand. I never got up the nerve to ask for my old one back. I played and sang campfire songs, hoping I would catch one of the teenagers as they arrived home from school. Instead, I was spotted by one of my husband’s friends. She is in a club with him and she is always meddling in everyone’s business. She pretended to stay there and chat to some other passerby. But soon enough, my husband was outside, and walked me around to the side of the house to talk. I guess he wanted to get me out of the way in case one of our offspring came anywhere near the front door. Once we were there though, it was like nothing had happened. We hugged–no we embraced. We checked how each other were doing, and seemed to genuinely care that each other was doing well. Just as I was about to ask to see our offspring, he got me with the question that always ends the pleasant moment. He asked was I there to announce I was coming home. When I told him that was not the reason for my visit, he told me I should leave. He did not want to get the hopes of our offspring up. I could understand that, so I agreed to leave. We both stayed pleasant, which was unexpected but nice. I did not go far however. 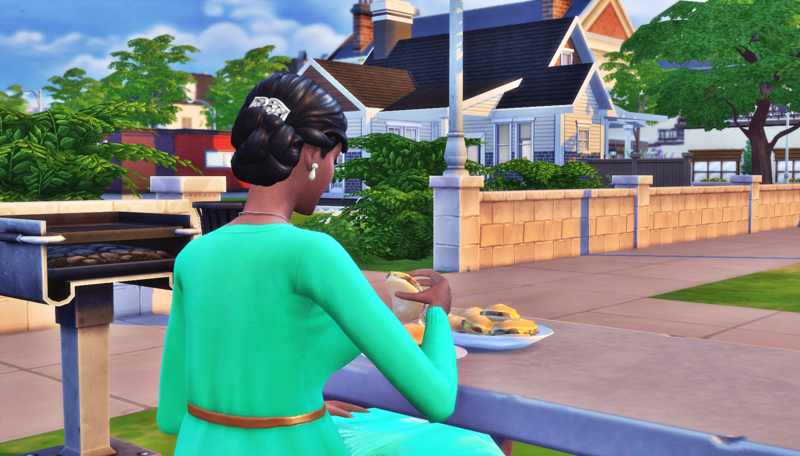 I went to the park area next to the house and made a group serving of hamburgers. Just in case one of my offspring came past, I wanted to make sure they were fed. I sat there for a while, watching the neighborhood Children and Teens go past and play and laugh, but none were mine. The sun was beginning to set, so I gave up. I saw my husband had come outside, either to garden or make sure I was really gone. I forced a fake smile onto my face and ran past. If he saw me, he did not show that he did. I got back home and promised myself I would figure out a better plan to see my offspring another time. I cannot believe I am telling you all of this, especially without giving you the whole story. I apologize if this is confusing, but I guess I needed to get it off my chest. I am switching subjects now. I think it is nice that you live in San Myshuno. I live in Newcrest, but I am often found playing for tips in San Myshuno. You would be surprised how well the residents of the Arts District tip a Jingle Jammer like myself. I want to be a Serious Musician, but that feels so far away. The way you describe San Myshuno sounds like a brochure. I have not attended any of the festivals as a guest, nor have I tried karaoke. And I have never visited Myshuno Meadows. You seem like you have your finger on the pulse of the city, so I wager you would make a wonderful tour guide for a visitor. To answer your questions: I stated earlier I play guitar. I also play the violin, though not as well as the guitar. I love all genres of music, but I am partial to Spooky Music, Classical Music, and Holiday music. 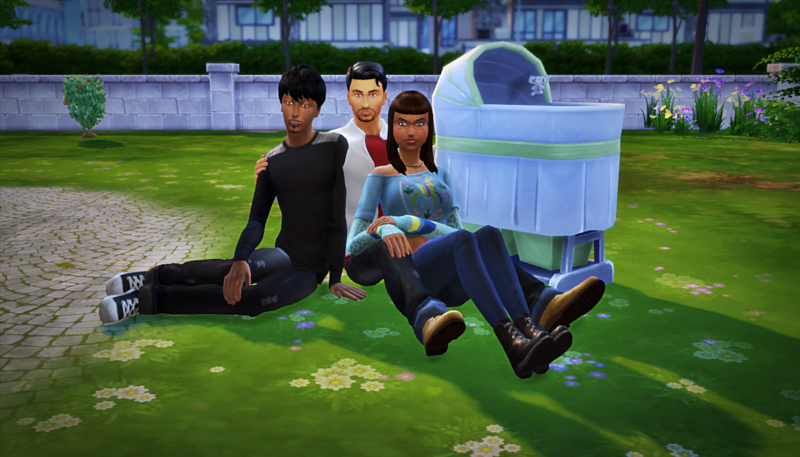 They highlight the best that Sims have to offer in my opinion. Other than my music, I do not have many hobbies. At the suggestion of my roommate Baylee, I started keeping a journal, but that is still relatively new, so I cannot say if it will last. It sounds like you have so much fun with your friends in your life. You are living very similarly to how I always imagined I would live. Life does not always work out the way you planned, but as long as there is still time ahead of you, there is always room for change and growth. I think I will try one of your hobbies. Partying sounds like a lot of fun. One of my work friends, Candy, used to party all the time. She has slowed down considerably since she got married and became a mother, but I believe she would still know where to find a great party. By the time I write my next letter to you, I hope to have attended a party and am able to report back. I have some questions for you now: Are you and Hank close? Where is the rest of your family? What do you do to earn money? Also, your pen pal profile says you would love to shares tales of your adventures with your brother and friends. If your other stories are anything like the Spice Festival story, I know I will be entertained. So please, tell me another adventure story! Previous postPen Pal Letter D5: Big News!! Gosh. She really needs some friends! That was so much to tell a stranger upon the first “meeting.” Poor thing. I wonder if she expected to miss them as much as she does. I suppose she told Bo about the baby after all. Would love to know how that went down…preferably not in a letter to a stranger LOL. Lol, we’ll see how that went down with the baby when we get to their household in the rotation. Poor Heaven is still not quite grasping Sim social norms. Think of this way, she looks up pen pal letter on Simpedia, and she’s just trying to follow what she’s been told they do. But you’re right, she could use some friends. She can’t talk to Bo about what happened, her Bro roommates do NOT wanna hear about her family issues. Her only other friends are Candy and Summer Holiday, but they are also friends with Bo, so they aren’t a real option. I don’t see her being the type to go out of her way to meet new people either. I really loved the dissonance between her detached writing style and my feelings as a reader ! I’m wondering if she is as detached as she seems or if emotional expression is just a foreign language to her. In my mind, her demeanor is soooo detached from what’s actually happening, so I’m glad that’s translating in her letter. Her Sixamian culture doesn’t allow a lot of room for grand emotional expression; one’s behavior shows more than words how they feel. Her attempts to spend time with her kids, and her behavior around Bo and her roommates tell more about her feelings than her words ever will. It’s nice to get to know Heaven. Poor her. 😦 Let’s hope she’ll move back to see her children. Her hubby misses her a lot, but if she continues to be gone long, then he might eventually move on. Life is tough of her…. There is that concern that Bo could move on. Heaven is in a weird limbo right now. She’s painted herself into a corner, and has no idea how to get out in a way that makes everyone happy. Hehe, reading these penpal letters make me want to do it too 😀 I love the different bits of insight I get into their families through these. Oh , I hope you do join up! 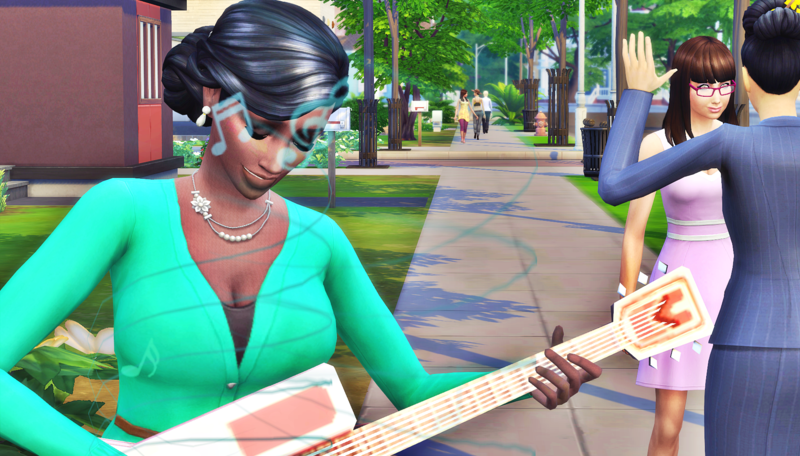 We’ve got a few really awesome Sims waiting for pen pals right now , and Audrey and Cece can let you know how fun it is ! I’ve actually been thinking a lot for a certain character of mine to use for it since I saw the thread and how correspondences worked. A part of me sort of wants to wait for a certain part of my story to occur before I do so the one I have in mind would have more things to talk about aside from his daily life. But oooh, I’ll probably end up writing out a profile later anyway 😂 It really does look like a lot of fun! It’s the daily life stuff that makes the best letters imo! I can’t wait to see your profile so I can see which character you pick. Yay! more pen pallers. Pal-ers? Palers? Hmmmm, I feel very negatively about this particular made up work, lol. You totally should!! Me and Audrey both do it. You get such cool insight into your own characters, and the tie in with another Simlit story is an added benefit. Poor Heaven. She misses her kids. Maybe she will eventually move back. Bo misses her too but if she stays gone too long he may move on. I didn’t know that Bo kept their baby! That has to be hard for her. I guess the Bros said the baby goes or you go. They never wanted a baby in their house. We’ll see more about what happened with the baby when we get to the Blank household chapters later in Round 9. Round 9 actually starts tomorrow, so it won’t be too long.